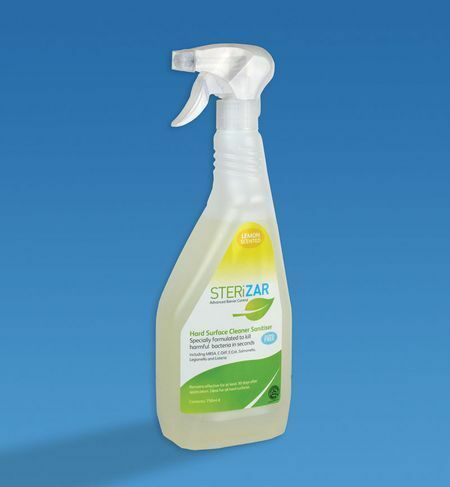 Sterizar Hard Surface Cleaner, Alcohol Free Cleaner. 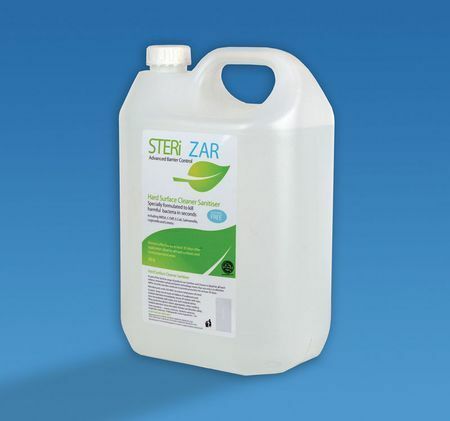 Sterizar is an antibacterial alcohol free hard surface cleaner. 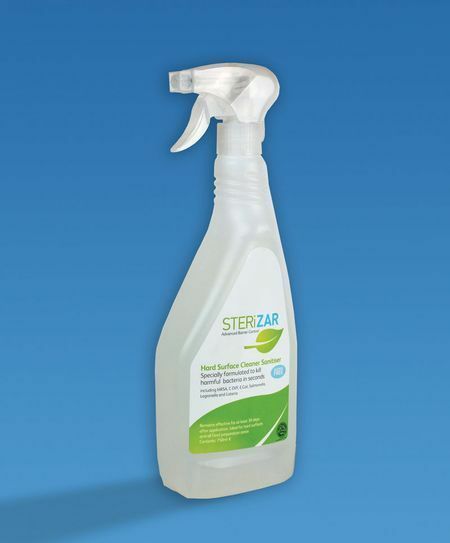 With advanced barrier technology, any surface treated with Sterizar will remain contamination free from any bacteria type for a minimum of 30 days. 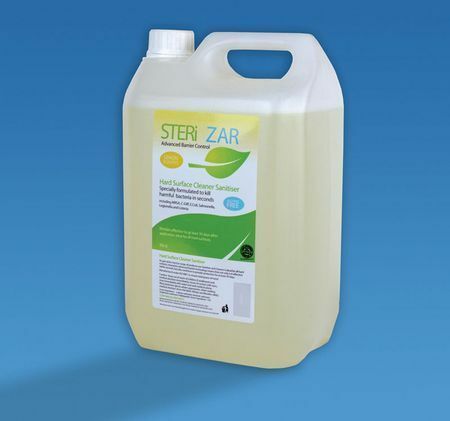 Tested food safe and tested to kill MRSA, C-Diff, E-Coli, Salmonella, Legionnaires plus 99.99% of other bacteria. Halal approved.